Review: Rita Stradling has done an amazing job at this futuristic retelling of Beauty and the Beast. There is so much depth in the characters and the love scenes aren't overwhelming like a lot of books portray. Toward the end, I was on the edge of my seat, unable to figure out how the characters were going to get out of their situation. That's always a good book when I can't guess what was going to happen before it happens. 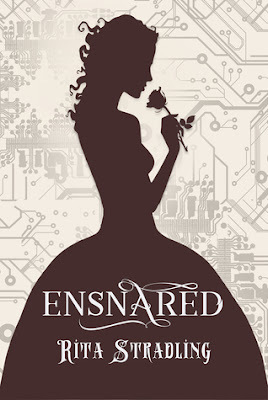 Four stars for Ensnared!